Spring isn't spring without Keith Lockhart and The Boston Pops. Theater fans will be particularly interested in several of the Pops concerts taking place this month at Symphony Hall as featured guests are set to include Broadway stars Megan Hilty, Donna McKechnie, Jodi Benson, Matthew Morrison, and Jason Alexander. 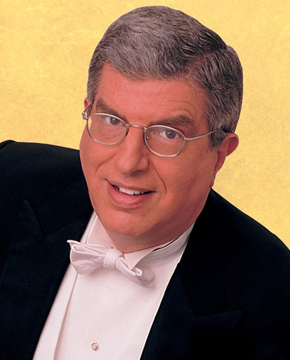 "A Tribute to Marvin Hamlisch"
The Boston Pops pays tribute to the wonderful talents of the late Marvin Hamlisch, one of the greatest contributors to American movie and theater music over the last century. To celebrate this great musical legacy, conductor Keith Lockhart will lead the Boston Pops in the infectious tunes from Hamlisch’s groundbreaking, award-winning musical, "A Chorus Line," and music from his Academy Award-winning score to "The Way We Were." The impressive line-up of Broadway talent to be featured with Keith and the Pops, includes Broadway legend Donna McKechnie, who won a Tony Award for the role of Cassie in the original company of "A Chorus Line." Also joining the orchestra will be actress and vocalist Jodi Benson, who notably performed the vocals for Princess Ariel in Disney’s "The Little Mermaid" in addition to receiving a Tony nomination for her starring role in Gershwin's "Crazy For You" on Broadway. She also appeared on Broadway in Mr. Hamlisch's short-lived musical "Smile," in which she introduced the number "Disneyland." Also appearing will be Doug La Brecque, a frequent musical collaborator of Mr. Hamlisch. These performances mark a Boston Pops debut for both Donna McKechnie and Jodi Benson. While serving as the Principal Pops Conductor for many of the top orchestras, and having made frequent guest appearances with the Boston Pops, Hamlisch composed film scores for more than forty motion pictures and over the course of his expansive artistic career won virtually every major award: three Golden Globes and three Oscars, four Emmys, four Grammys, and a Tony. After stints on Broadway in "Wicked," "9 to 5: The Musical," and "Gentleman Prefer Blondes," Ms. Hilty became one of TV's newest stars with her leading role appearances on the popular NBC series "Smash." For her first performances with the Boston Pops, Ms. Hilty will present tunes from her Broadway repertoire as well as original songs from "Smash," including “Second Hand Baby Grand” and “They Just Keep Moving the Line” (both composed by Broadway team, Marc Shaiman and Scott Wittman, who also wrote "Hairspray" and "Catch Me If You Can). The first half of the program will feature Keith Lockhart and the Boston Pops in selections that celebrate the passion of the silver screen, with performances of some of Hollywood’s greatest love songs including Max Steiner’s theme to "Gone with the Wind" and “Unchained Melody” from the film "Ghost." As well, the Boston Cello Quartet, made up of four members of the Boston Symphony Orchestra (also members of the Boston Pops), will present a medley of James Bond themes arranged for four cellos and orchestra. 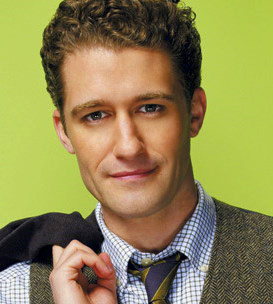 Matthew Morrison takes his cues from the likes of Fred Astaire and Gene Kelly for his performances on May 28 and 29. Audiences will be treated to such Broadway standards as “Luck be a Lady,” “Singing In The Rain,” and “The Lady Is a Tramp,” all featured on Mr. Morrison’s new album “Where It All Began,” to be released just days after the concerts on June 4. The Pops concerts are also a precursor to Morrison's June 1 PBS special, “Where It All Began – Live From the Bushnell.” Before he attained national fame for his Emmy and Golden Globe-nominated role as Will Schuester on the hit Fox television show "Glee," Morrison dazzled audience as a Tony-nominated Broadway leading man appearing in the shows "Hairspray," "Light in the Piazza," and Lincoln Center's "South Pacific." 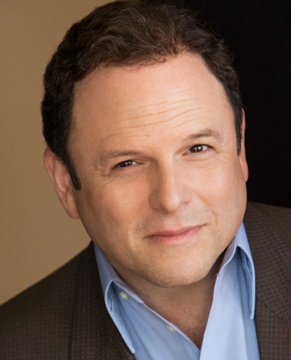 Jason Alexander will be the featured guest artist for the 32nd Presidents at Pops concert, one of the Boston Symphony Orchestra’s most important annual fund raisers. Best known for his role as George Costanza on "Seinfeld," Mr. Alexander made his Broadway debut in Stephen Sondheim’s "Merrily We Roll Along " and has since starred on Broadway five times, including his Tony Award-winning appearance in "Jerome Robbins’ Broadway," for which he also wrote the libretto. Presidents at Pops, which raised $1 million last year, celebrates the unique partnership between the BSO and the corporate community with a program designed to entertain many of Boston’s most influential business leaders. Since its inception in 1982, Presidents at Pops, along with its sister event, A Company Christmas at Pops, has raised more than $45 million -- funds that help support the BSO’s Education and Community Engagement programs, among other programs. For the full Pops schedule, including performances by Vince Gill, "A Country Salute To Our Troops," and a special series of concerts inspired by AMC's "Mad Men" and featuring vocalist Steve Lippia, visit www.bostonpops.org. For tickets, stop by the box office at 100 Massachusetts Ave, call 617-266-1200 or visit www.bostonpops.org.